The legacy of Mildred Loving, the real-life protagonist of the critically acclaimed film Loving, will be celebrated this Martin Luther King, Jr. Day with the presentation of the inaugural Mildred Loving Community Activism Award during the National Action Network’s (NAN) MLK Jr. Day Breakfast on Monday, January 16th. The Award named for Mrs. Loving will honor a young, unsung hero who has made a difference in their community by championing civil rights and social justice. Mildred Loving was part of an interracial couple who exemplified courage and commitment. In 1958, she and her husband Richard married and then spent the next nine years fighting for the right to live as a family in their hometown. 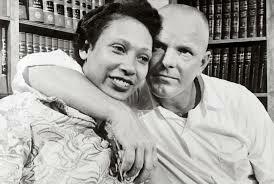 Their civil rights case, Loving v. Virginia, went all the way to the Supreme Court, which in 1967 reaffirmed the very foundation of the right to marry - and their love story has become an inspiration to couples ever since. The Honorable Terry McAuliffe, Governor of Virginia, last fall announced that, beginning in 2017, June 12th will be known as Loving Day in the State. The State’s permanent recognition of Loving Day commemorates the 50th anniversary of the June 12th, 1967 Supreme Court decision that ruled in favor of Richard and Mildred Loving. Governor McAuliffe will be one of this year’s Honorees at the NAN MLK Jr. Day Breakfast; other Honorees include Debbie Allen, the Honorable Cory Booker, Janice Bryant Howroyd, Cathy Hughes, and Dorothy James. The Mildred Loving Community Activism Award recipient is decided upon by NAN after reviewing nominees submitted from around the country. The Award presentation, to be made by members of the Lovingfilmmaking team, will take place following the Honoree presentations and following the Breakfast Keynote addresses by NAN founder Reverend Al Sharpton, Martin Luther King, Jr. III, and Administration Members of President Barack Obama’s Cabinet. The Breakfast begins @8:30 AM ET next Monday, January 16th at the Mayflower Renaissance Hotel. Mildred and Richard Loving’s story is told by writer/director Jeff Nichols in the motion picture Loving, recently released by Focus Features. For her portrayal of Mildred Loving, Ruth Negga was recently named Best Actress of the Year by the Black Film Critics Circle, the African American Film Critics Association, and the Alliance of Women Film Journalists. Loving is currently nominated for 5 NAACP Image Awards including Outstanding Motion Picture, and was honored with the Victor Rabinowitz & Joanne Grant Award for Social Justice at the Hamptons International Film Festival. Additionally, the film is this year’s winner of the Producers Guild of America’s Stanley Kramer Award, honoring a production, producer or other individuals whose achievement or contribution illuminated and raises public awareness of important social issues; and is the winner of the Best Picture prize from AARP’s Movies for Grownups Awards. The National Action Network is one of the leading civil rights organizations in the Nation with chapters throughout the entire United States. Founded in 1991 by Reverend Al Sharpton, NAN works within the spirit and tradition of Dr. Martin Luther King, Jr. to promote a modern civil rights agenda that includes the fight for one standard of justice, decency and equal opportunities for all people regardless of race, religion, nationality or gender.